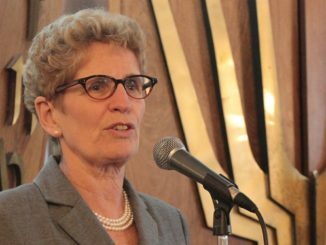 Kathleen Wynne and her Ontario Liberals lost the last election because they were out of touch with the electorate and kept putting party needs ahead of the needs of the province. Doug Ford and the Ontario PCs won in part because of their policies but also because they were not the Wynne Liberals and promised to clean up her mess. So why is Ford emulating Wynne when it comes to answering questions on a mini-scandal about the hiring and firing of an official? The Globe and Mail reported on Monday that Ford’s chief of staff Dean French called the chairman of the board for Ontario Power Generation to have Alykhan Velshi fired on the day he started his job. Velshi is a former top staffer to former Prime Minister Stephen Harper and was also the chief of staff to former Ontario PC Leader Patrick Brown when Brown was forced out in January. In September, Velshi started his new job as vice-president of corporate affairs and community relations. According to the Globe, Velshi was terminated the day he started but kept on as they work out an exit package. The Toronto Star cites PC sources who claim that the politically motivated firing could cost taxpayers as much as $500,000. Given Velshi’s generous six figure salary, that payout may not be far off. And why will taxpayers have to pay this? 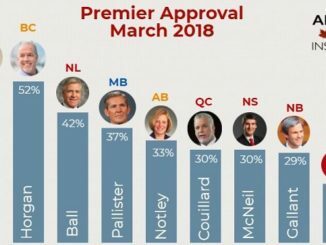 So Doug Ford can settle a political score. This is being portrayed as simply getting back at someone that used to work for Patrick Brown and part of the war between Brown and Ford. I think it is more than that. Patrick Brown has no love for Velshi either I am told by multiple sources. Other that Ford and his advisors, Brown might be cheering Velshi’s firing the loudest. Velshi dropped Brown quickly and took up as chief of staff to Vic Fedeli when the now finance minister was interim PC leader. Taxpayers stuck with the bill. Ontario taxpayers though should not be cheering, they are on the hook for Ford settling political scores. Asked about this over the past few days in the legislature, Ford has resorted to sounding like Kathleen Wynne, ignore a very real and important question and list off all the good things you’ve done. I found this reaction unacceptable under Wynne and I find it unacceptable under Ford. Conservative voters should demand better. From what I understand Ford and his team simply don’t trust Velshi to be the executive they have to deal with on issues between OPG and the government. That’s fine, in politics you have to deal with lots of people you don’t trust. If Ford didn’t want Velshi in the job he should have let his thoughts be known before the hiring. After the hiring he should have lived with it. This move to purge Velshi makes the government look petty and shows that they will spend your money to achieve their partisan political ends. That’s why we got rid of Wynne and the Liberals. 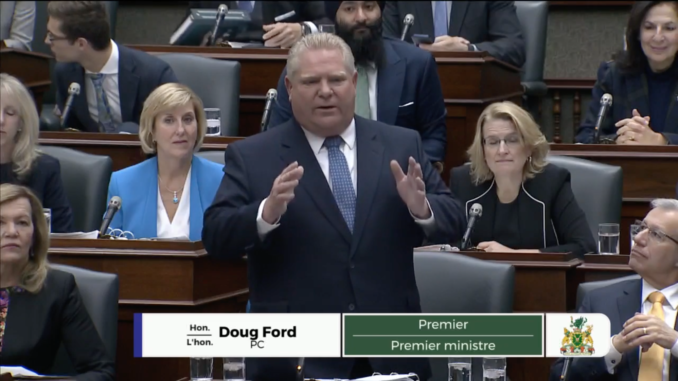 Ford should make sure he doesn’t emulate the former premier again if he wants to get the second term the PCs are hoping for.